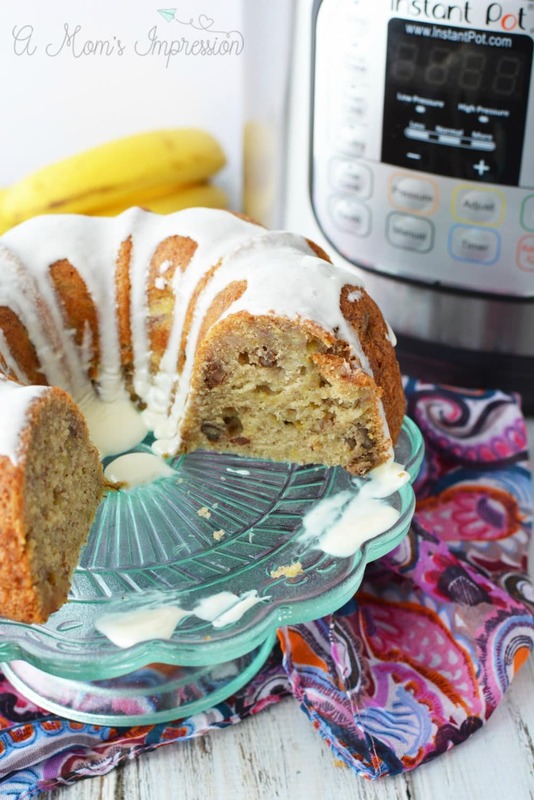 Did you know that your pressure cooker can make a super moist banana bread? 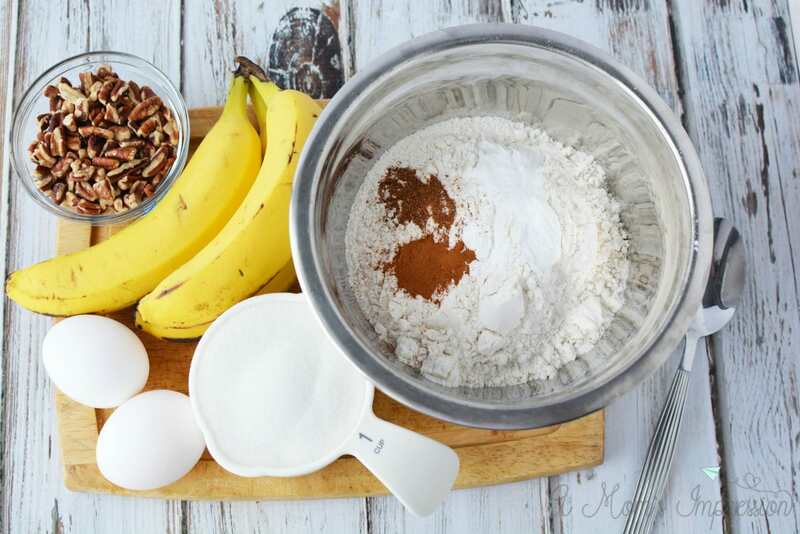 Check out this easy Instant Pot Banana Bread recipe, it is the best dessert I have made in awhile! 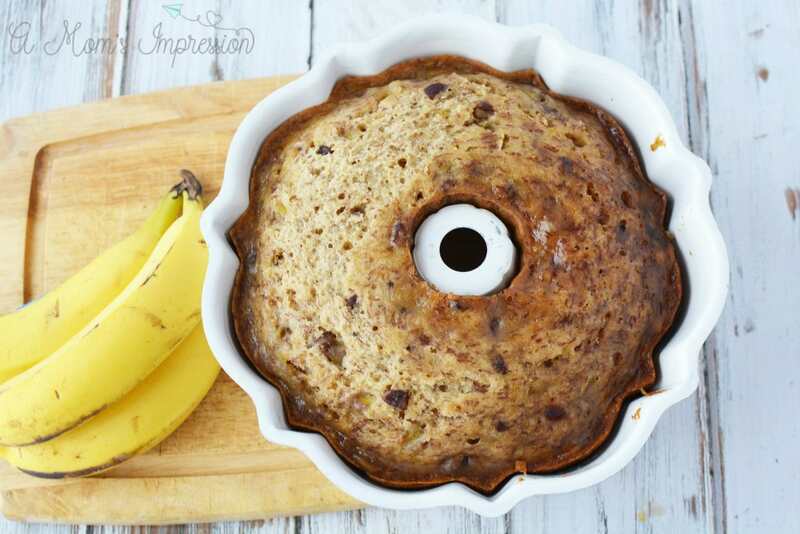 LOOKING FOR MORE INSTANT POT DESSERTS? 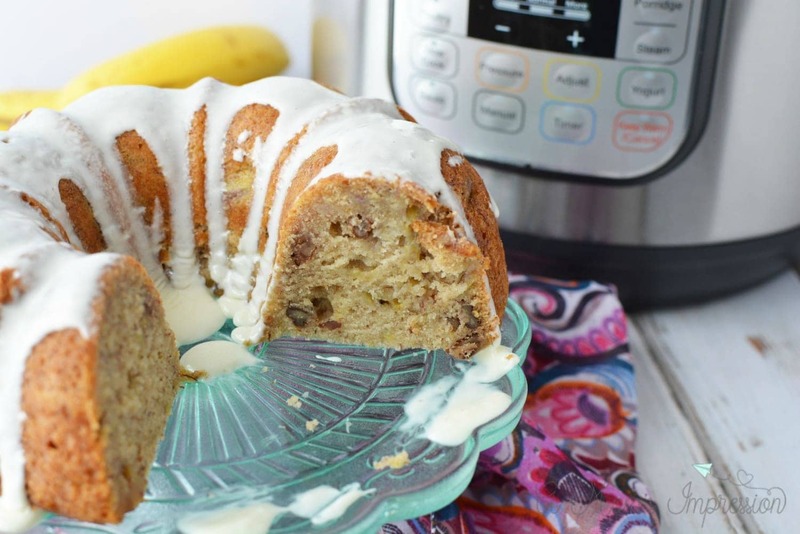 CHECK OUT MY INSTANT POT MONKEY BREAD OR MY INSTANT POT ANIMAL COOKIE CHEESECAKE! 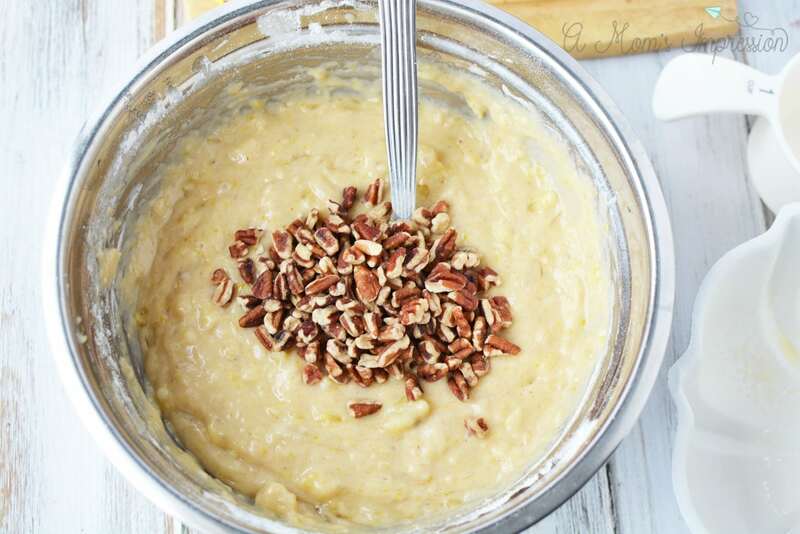 Banana bread is one of those comfort foods that immediately brings me back to my childhood. I am not sure if there is anything better than a warm piece of banana bread with butter on it after a meal. I also love getting up early, grabbing a cup of coffee and slice of banana bread for breakfast! Since I have been learning how to convert recipes for the Instant Pot, I thought it was time to tackle banana bread. If you are new to pressure cooking and are a little intimidated, don’t be. There are many benefits to cooking with your Instant pot, check out our pressure cooking guide to learn more! 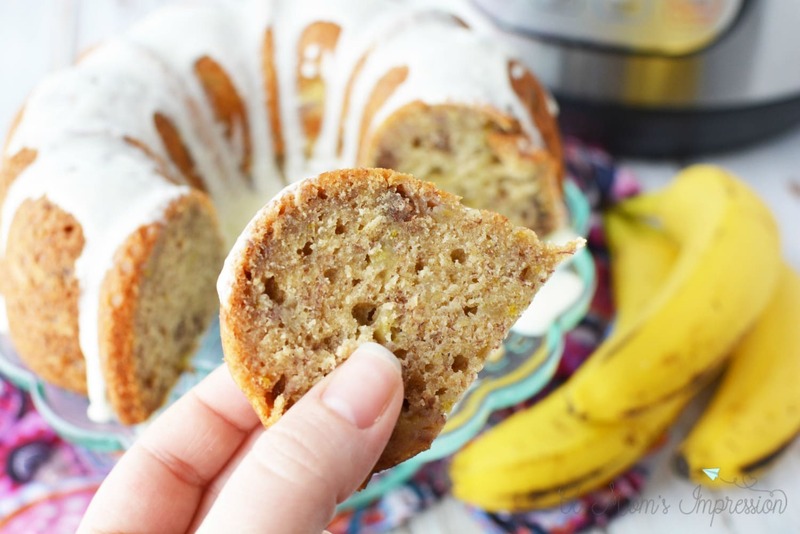 Pressure cooker banana bread produces a moist banana bread and is a great dessert or even a great breakfast option when combined with homemade yogurt for your family! 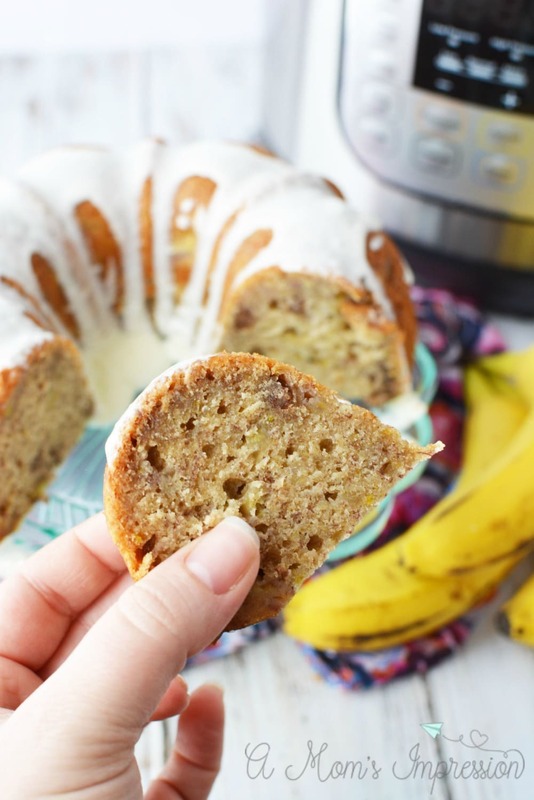 We also love banana bread with our Starbucks Copycat Egg Bites! 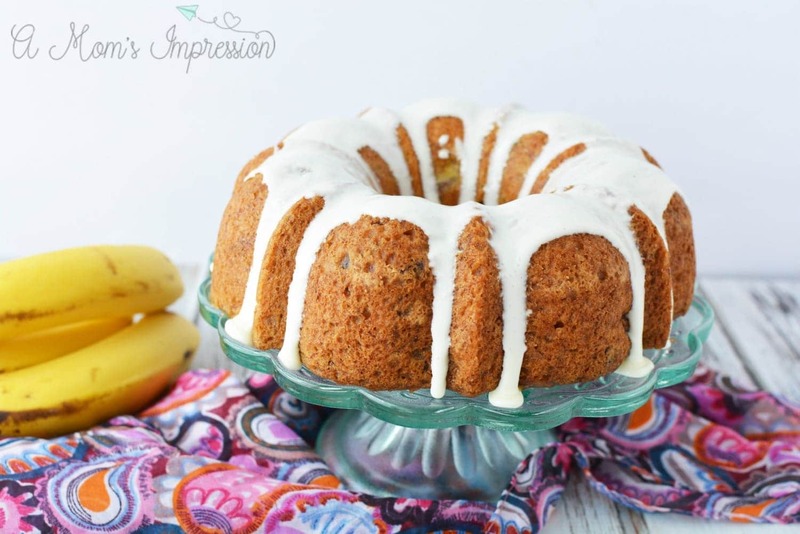 Don’t have a 6 cup Bundt Pan for your Instant Pot? Get the one I use here! Most people don’t think about using their pressure cooker for desserts but I have to tell you that you will be missing out if you don’t. My Instant Pot has made some amazing desserts including a pressure cooker pumpkin cheesecake! 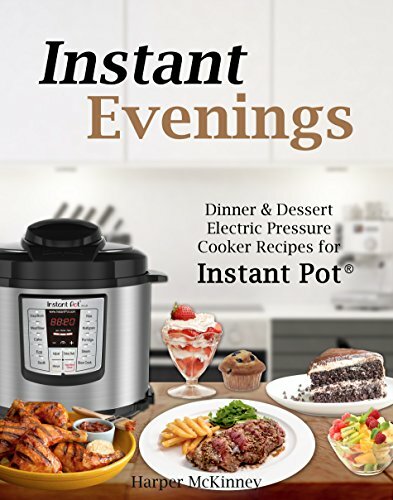 Check out this Dinner and Dessert cookbook for your pressure cooker. It is reasonably priced and gives you a lot of ideas for quick meals at night and to satisfy that sweet tooth that we all have. 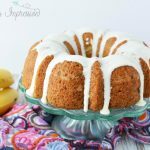 Grease a 6 cup bundt cake pan with nonstick cooking spray. Set aside. In a small bowl, add flour, baking powder, baking soda, cinnamon, and nutmeg. Mix well and set aside. Add mashed bananas, eggs, sugar, and oil and mix well. Stir in vanilla. Add dry ingredients to wet and mix well. Fold in pecans. Place a paper towel on top of the pan and cover with foil. Create a foil sling by folding a long piece of foil in half, placing it under the pan and folding it up and around the pan. Place 1 cup water in the bottom of the instant pot and place the trivet into the pot. Place the pan on top of the trivet and in the pot. Secure the lid on the pot and close the pressure release valve. Set the pot to manual, high pressure for 45 minutes. When cooking cycle is finished, open the quick release valve and carefully remove the pan from the pot by grabbing onto the foil sling. 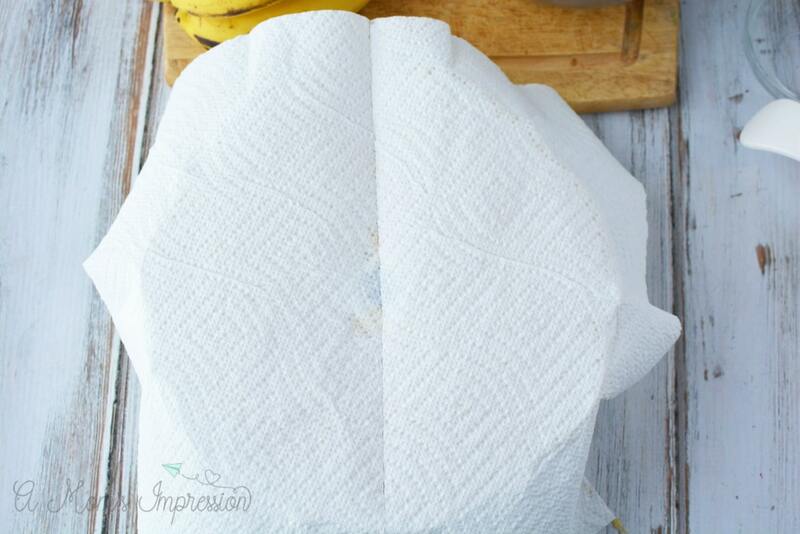 Remove the paper foil and paper towel and discard. Let set to cool completely before inverting onto a plate. Heat cream cheese icing in the microwave for 10 seconds and stir. Drizzle on top of the bread before serving. In a small bowl, add flour, baking powder, baking soda, cinnamon and nutmeg. Mix well and set aside. Add mashed bananas, eggs, sugar and oil and mix well. Stir in vanilla. 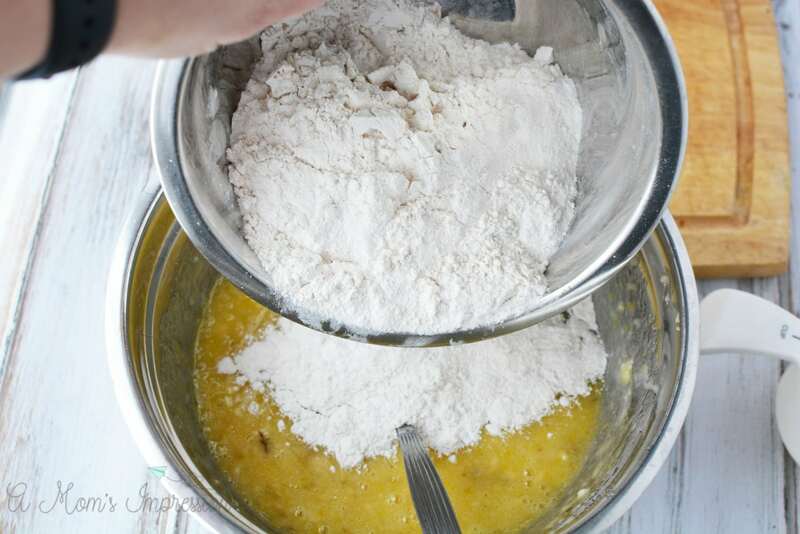 Add dry ingredients to wet and mix well. Fold in pecans. Spoon batter into prepared pan. Place a paper towel on top of the pan and cover with foil. 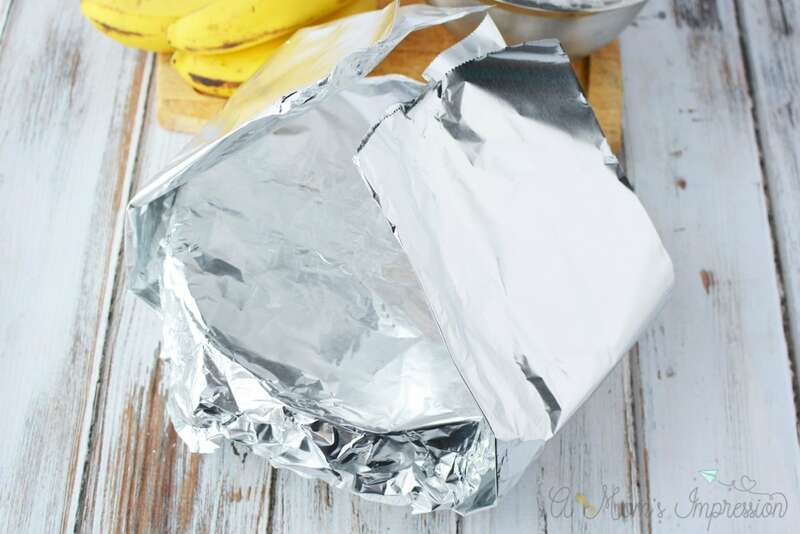 Create a foil sling by folding a long piece of foil in half, placing it under the pan and folding it up and around the pan. Place 1 cup water in the bottom of the instant pot and place the trivet into the pot. Place the pan on top of the trivet and in the pot. Secure the lid on the pot and close the pressure release valve. Set the pot to manual, high pressure for 45 minutes. When cooking cycle is finished, open the quick release valve and carefully remove the pan from the pot by grabbing onto the foil sling. Remove the paper foil and paper towel and discard. Let set to cool completely before inverting onto a plate. Heat cream cheese icing in microwave for 10 seconds and stir. Drizzle on top of bread before serving. 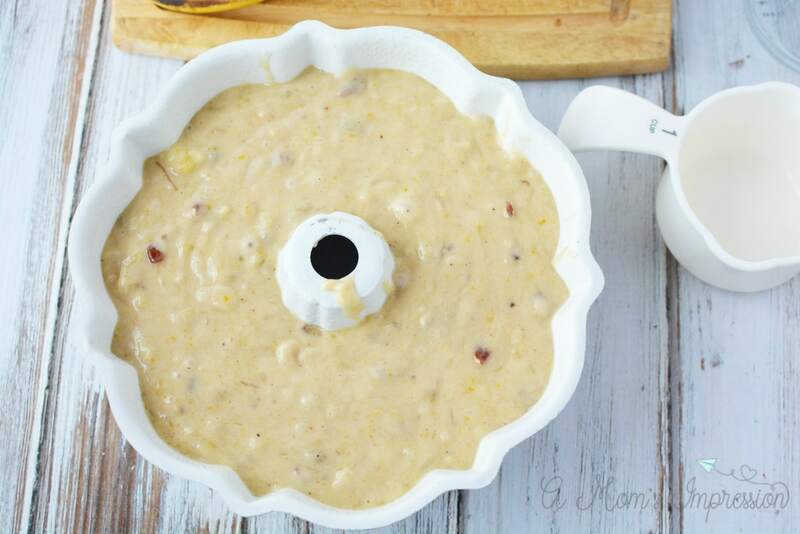 For another great Instant Pot comfort food recipe check out our homemade pressure-cooker Mac and Cheese!